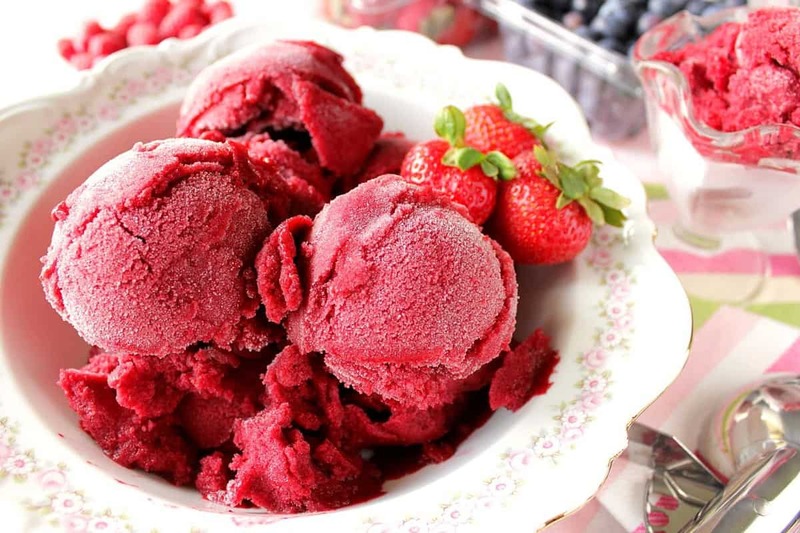 A delicious combination of Mother Nature’s finest summer berries are pureed and then frozen, into this luscious and healthy low sugar Mixed Berry Sorbet. Low sugar berry sorbet is a clean and refreshing treat that will keep your sweet tooth satisfied in a berry delicious way. 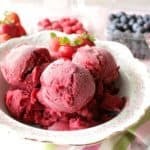 **Please Note – The printable recipe card with detailed instructions, complete ingredient measurements, and nutritional information for making Healthy Mixed Berry Sorbet is available near the end of this post. It seems I always have berries in my fridge when they’re in season. My favorites are strawberries and blueberries, but lately, raspberries have been giving my old favorites a run for their money, so I decided to use all three of them all in this Mixed Berry Sorbet because, well, why not? I can’t take credit for this sorbet recipe, or the fun technique used for achieving the perfect sorbet texture. I found this recipe on The Kitchn when I Googled “sorbet recipes,” and after looking at several, settled on this one to try. Simple syrup is simply an equal parts mixture of water and a sweetening agent (in this case, granulated sugar) which has been heated together to form a syrup. If you’ve ever made your own homemade sorbet, your recipe most likely didn’t call for an egg, and I think you’ll be surprised when you find out this one does. However, it’s not used as an ingredient. The egg is used as a way to determine the perfect texture and consistency of the sorbet once frozen. It’s pretty ingenious actually, and wish I would have thought of it! It’s called the “Egg-Float” test, and the egg is used to measure the amount of simple syrup needed to thin the berries and float the egg within the mixture to where only a nickel size portion of the egg is visible. Make a simple syrup by bringing sugar and water to a simmer over medium heat until the sugar dissolves. Allow the simple syrup to cool slightly. Meanwhile, wash the berries and assemble the other ingredients. Place them into a blender along with the blueberries, raspberries and ½ cup of the simple syrup. Place an egg (in the shell) gently into the pureed mixture. If you see more than a nickel size portion of the egg, remove the egg, and add a touch more simple syrup. Try the egg-float test again until only a nickel portion of the egg shows. If needed squeeze fresh lemon juice into the puree until you’re happy with the taste. 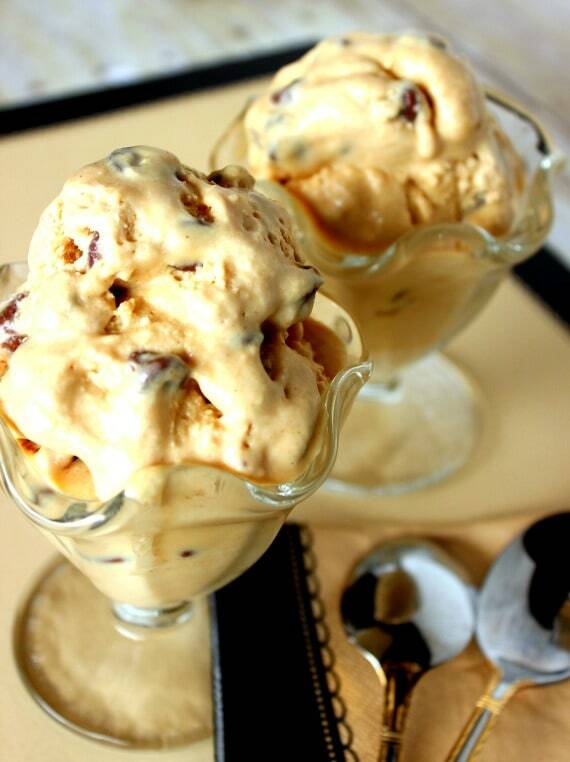 Pour the pureed mixture into a prepared ice cream maker and freeze according to the manufactures instructions. Once frozen, serve immediately, or spoon the sorbet into a container and freeze until ready to serve. 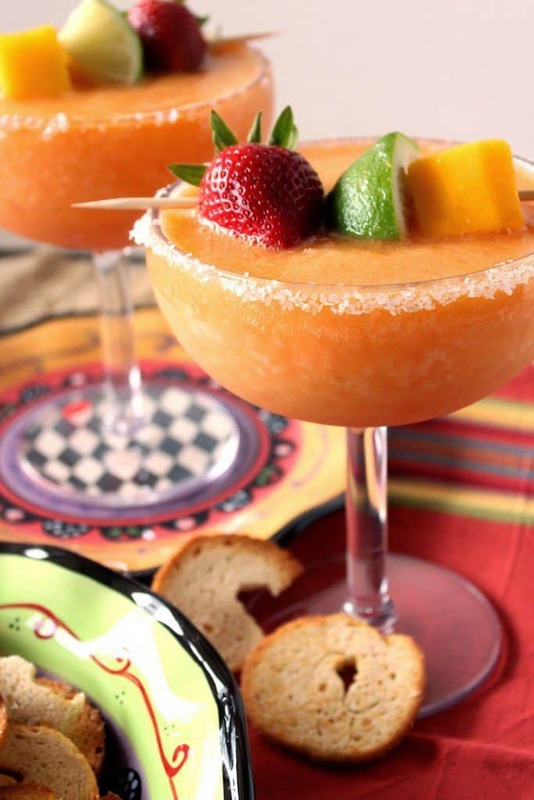 Frozen Mango Strawberry Margarita; Featured in Play Buzz, and Our Daily Ideas. 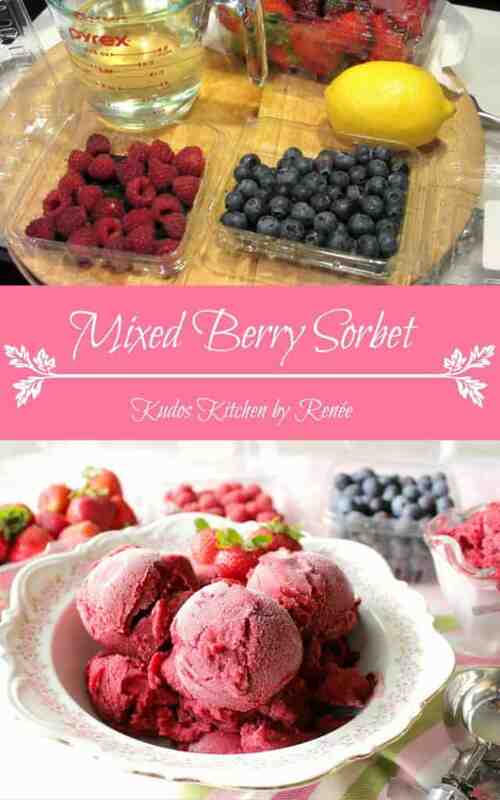 Below is the printable recipe card for today’s Healthy Low Sugar Mixed Berry Sorbet. 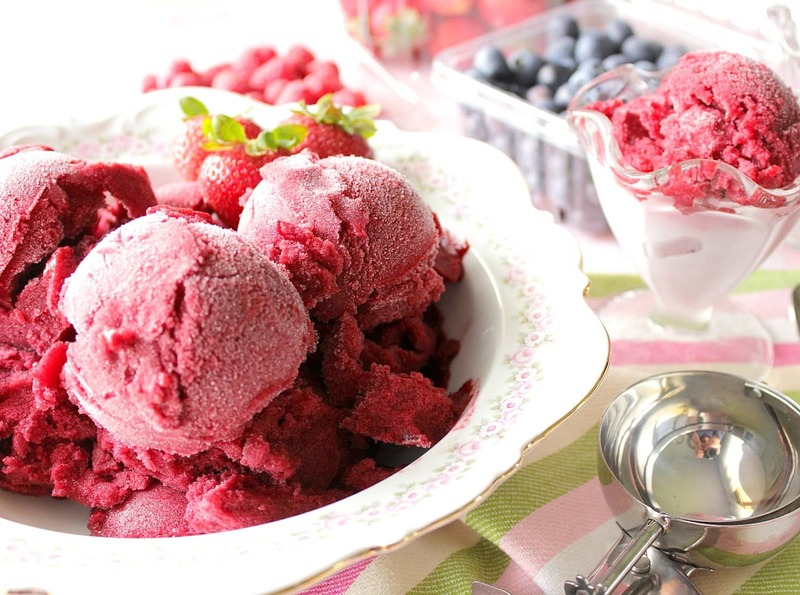 A delicious combination of Mother Nature's finest summer berries are pureed and then frozen into this luscious Mixed Berry Sorbet. Bring the water and sugar to a simmer over medium heat, stirring occasionally until the sugar dissolves. Cool. Add the berries into the blender and add ½ cup of the simple syrup. Blend until smooth. Gently add the egg into the pureed mixture. If needed, add a touch more simple syrup until you can only see a nickel size portion of the egg. *Note - This may take a few times. Make sure you don't add too much syrup at one time. Make sure to remove the egg each time before blending in more simple syrup. Taste, and if needed squeeze fresh lemon juice into the puree until you're happy with the taste. *Note - this is optional. You may not feel the lemon is necessary, and that's okay. 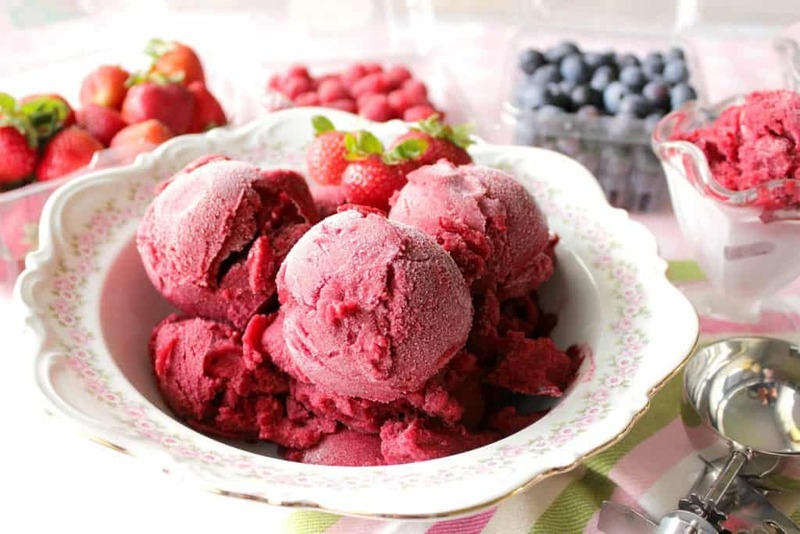 Carefully pour the berry puree into a prepared ice cream maker and freeze according to the manufactures instructions. Once frozen, serve immediately or spoon the sorbet into a container and freeze until serving. If the blender you're using won't pulverize the seeds, you may wish to strain the pureed mixture with a fine mesh strainer before adding the mixture into the ice cream freezer. I sincerely hope you’ve enjoyed today’s recipe for frozen berry sorbet as much as I’ve enjoyed bringing it to you! 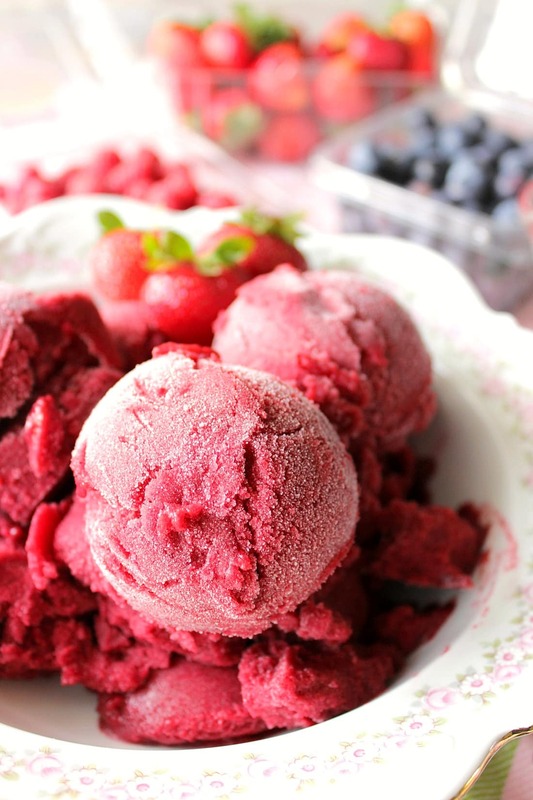 This sorbet is so pretty and it sounds so refreshing! It’s totally refreshing, Stephanie. I served it last night to family and friends and everyone commented that it tasted just like eating the fresh berries. They loved it! This sorbet makes me so happy, Renee! What a gorgeous summertime treat. And that egg float trick? Brilliant! I’d have never thought of that, and now when I make sorbet, I’ll be using it! Good call! Thank you so much, Erin. That egg float trick is kind of fun, isn’t it? I just love the vibrant color of this sorbet – beautiful! Never knew about the egg float trick! Good to know! This sorbet looks like the perfect summer treat! I love the gorgeous color of this sorbet! And that egg trick is great! I could use a bowl right now in this heat! I’m so ready for making sorbets!! Love mixed berry any thing, so this is going on the top of the list for the summer frozen dessert ideas (the egg test is really cool!). Now I’m dying to make sorbet just to try the egg float test! I’ll have to wait a bit longer for berries to be in season here, but then it is on! Wow I had no idea you could do an “egg float” test with sorbet – ingenious!! 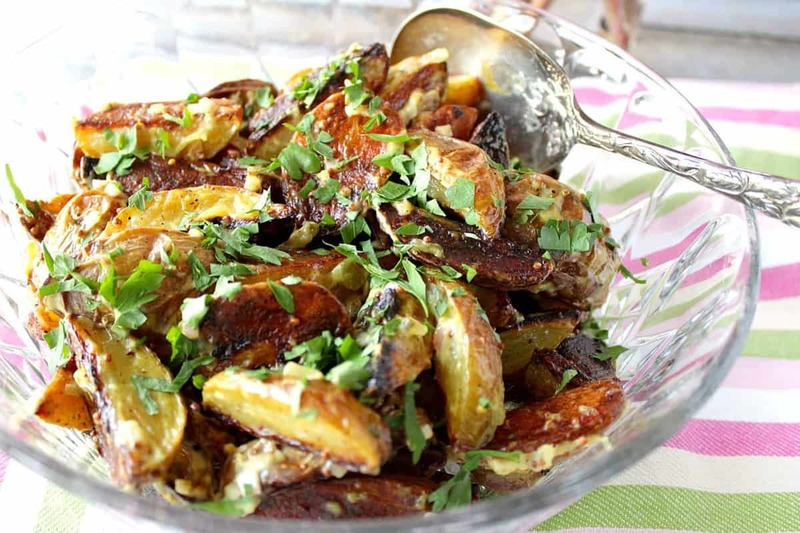 Kudos for finding such a cool recipes. Your photos are GORGEOUS!! I wish I could have a bowl of this right this second; it’s the perfect summer-sunshine treat! Wow what a beautiful & vibrant dessert! I love sorbet and so have to try this flavor and technique. Thanks!! It’s fun, right? Wish I could take credit for the technique. I’ve never made homemade sorbet before this has to change! This mixed berry version is perfect for summer. You really need to, Brandy. I know you’d come up with something spectacular! Wow, that is the most gorgeous sorbet! 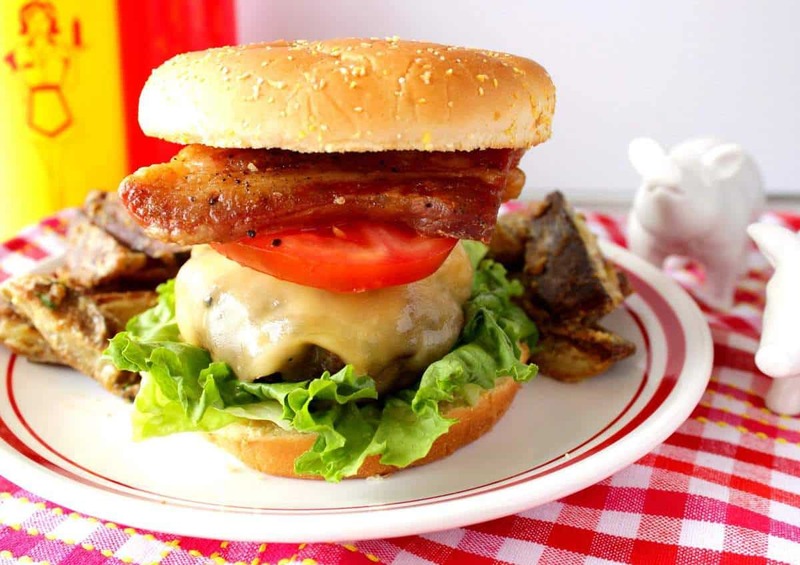 I can’t tell you how badly I’m craving this right now! Beautiful pics, too! This sorbet is gorgeous!! 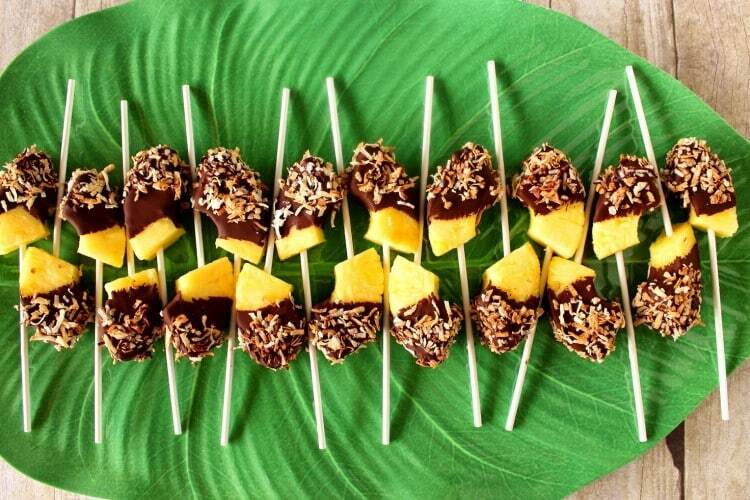 What a perfect, refreshing treat for summer! I couldn’t wait until summer to try. Healthy fruit that tastes like decadent dessert…this sorbet was amazing! Glad you liked it, Smanatha. Thank you! Ooooh this I am in love with!! !